Acne is a severe inflammatory skin condition. Acne vulgaris is another name for acne. Sealed hair follicles with dead skin cell and excess oil are the main reason for acne growth. It happens in the form of pimples, black head, and white head. It occurs on the face, chest, shoulder, upper arm, back, and thighs. These parts of the body store more saturated fats with pilosebaceous units. As new skin cells regenerate, the old cells get removed. If these dead skin cells remain in pores and get mixed with oil and sweat, begin to form a pimple. Acne can occur during puberty. It is common in woman and men, especially teenagers. As you reach puberty, your sebaceous glands activate and affect oil glands. The acne is not harmful, but it leaves a black scar on the skin. The Skin pore connects with the oil gland system directly under the skin. The oil gland produces sebum, which manages to keep the skin healthy and moisturized. But excessive oil form acne. The follicle pushes out the oil accompanied with bacteria and dead skin. This condition clogs the pore and form plug-in in the skin. Then, sebum will proceed to accumulate back of the plug. It will lead to comedo. A comedo is a black head or white head in a closed pore. This comedo will turn into the acne. Acne has classified based on 2 characteristics, such as inflammatory and non-inflammatory acne. In both cases, bacteria and oil blocks pore. There are many types of acne. Read below to know which type of acne you are getting. It is a type of acne which everyone gets at some point in their life. It is a natural process of skin clean and throws out the dead cells. The tiny hols on face skin are pores. When this pore remains open, it identifies as a blackhead. Due to the open pore, the sebum oxidizes with the contact of air. It makes sebum hard, which makes melanin in skin pigment. It will cause to form the black head. The blackhead can form in brown, black or gray color. These blackheads can occur on chin, nose or forehead. For some people, it can occur on the back, chest, and arms. Everyone experience whiteheads as it is a common type of acne. Whiteheads are a mild type of acne which takes time to disappear. You can also treat it with good skin care habit such as washing face. Comedones are a medical term for whiteheads. Whiteheads are plugs with hair follicles or pores under the skin surface. White or yellow is the color of skin oil and dead cell. It remains white or yellowish until it won’t get in contact with air. Whiteheads occur when sebaceous glands start to produce excess oil and mix with dead skin cell. It will seal the pore and form a white head. Several changes in the body trigger whiteheads, such as hormone change, menstruation, menopause or puberty. These are small erected solid pimples. It doesn’t contain pus. Papules are the primary type of inflammatory acne which affects the skin. When you get papules, it won’t expose any noticeable pore. These pimples have redness and swollen tissue in the surrounding skin. It can be tender and soft. These are one of the types of acne. It is a visible pimple which occurs in white or yellow color. Pustules contain puss in the middle. It is different from popules as it has white blood cells. The immune system tries to fight with bacteria in the ruptured follicle. The accumulated white blood cells turn in pus. The skin around pustules remains inflamed and tender. Acne nodules occur during the last stage of severe acne. This acne appears large and tender under the skin surface. If you touch, it may feel stiff and hard. 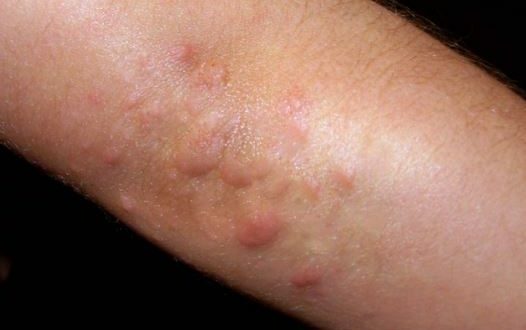 It is similar to papules, but it forms in follicles, accumulates bacteria. But the difference is, it occurs deeply from roots in the skin. The depth formation causes to damage the skin. It will result in inflammation. Nodules are large and painful. It doesn’t have any pus and stays inside the skin which looks like a bump. These types of acne take a long time to disappear. Touching or squeezing the acne will cause the deep pain and infection. Unfortunately, for some people, it leaves a permanent scar. These types of acne are difficult to treat successfully. The cystic acne does not come out of skin but stay under the skin surface. Cyst acne is similar to nodules, but it contains pus. The skin around this cyst also appears painful. Often it doesn’t look like a pimple but swelling a part of the skin. Waiting for clear skin is a huge disappointment when you frequently get acne. Do not worry because you are not one who gets acne. Almost everyone gets acne based on their health conditions. Here are cause you need to know what triggers acne growth. You may experience fluctuation in hormones during menstruation which causes acne. For men, androgen the male hormones such as testosterone trigger acne. Hormonal acne typically occurs on the lower part of your faces such as cheeks, chin, and jawline. These days stress is the biggest culprit which affect everyone. High-stress level affects hormones. The stress will come from office work, family problem, worrying about something. There is an organ called the adrenal gland which makes cortisol a hormone to fight stress. When your stress increases, these hormones produce more oil and cause acne. It is also a cause of acne growth. Pollution can affect the skin in multiple ways. Pollution acts to overload free radical damage to our skin. Living in metro cities exposes your skin to air pollution. It leads to free radical damage. Every day coming in contact with free radicals causes permanent skin inflammation and damage. Many people use skin products to get the acne free skin. But some chemical doesn’t work for some specific skin type. Oily skin may cause you to get more acne. So, you should check for labels such as oil-free, non-comedogenic. Knowing the product information will help to prevent pore clogs. It’s a good habit to keep your skin clean. But some skin conditions become dry and itchy due to multiple time washing. Cleansing your face more than two times can make your skin dry and acne condition worse. Your skin produces more oil to balance the dryness. When the pore filled with oil to come in contact with dirt and pollution, causes to block pore. It will result in acne breakouts, painful pimples. If you are allergic to any food, it will cause acne such as fried food, chocolate, caffeine, nuts, and pizza. All fast food contains oil which makes excess oil production in your skin. Apart from oily food, sugary food also causes acne. The sugary food which contains high glycaemic causes chain reaction and pimple breakout. When you eat fast food and sugary food, it will spike your insulin level and oil production in the skin. Hereditary is also a cause for acne. People who dealt with acne are more likely to pass this skin problem to their children. It may not be a genetic disorder but liked with hereditary elements. Family history related to skin condition can worsen acne growth. Some may get painful acne, and another family member may experience dry skin and blackheads. The early you know it’s hereditary; it will help to prevent your acne. You need to know the severity of acne before treatment. The skin specialist diagnoses your skin condition to determine the acne type and its treatment. You also need to check how frequently, acne breakout in your skin. During an appointment, the dermatologist will perform a physical exam. Your doctor will ask you about family history as well as your previous acne history. You need to explain everything about lifestyle, foods, and recent stress situations. Therefore, it will help to understand the cause of acne. If acne occurs due to other organ diseases in the body, then you need to have that treatment for complete prevention. You may get mild acne in this stage. It will be small clogged comedones without pain and redness. You will get a moderate level of acne in stage 2. You will get more black and whiteheads such as papules and pustules. It will occur more frequently than stage 1. In this stage, you will get more inflammation and pain in the acne. You may also get nodules which are thick and painful. This stage will have the most severe type of nodules, papules, pustules, and puss filled cyst. Frequent occurrence will make you irritated. Acne treatment depends on your skin condition. The treatment can be easy if you have mild and small acne such as blackheads and whiteheads. But inflammatory acne and cystic acne treatment can be challenging. Cystic acne is one or more large, red and painful pimple under the skin surface. Therefore, for cystic acne, you will need dermatologist help for treatment. The mild acne caused by hormonal change, stress or menstruation will disappear soon. These types of acne take a week of time to go. If you prevent stress things from your life, then your hormone stay balanced. When you have balanced hormones, it will not affect the menstruation cycle. Take good care with face wash product and weekly once scrub to prevent acne. If you are getting severe acne, then consult a dermatologist. Consume medication only with the prescription. The topical medications help to treat any particular part of the body acne. The retinoids medications come in the form of gel, lotion or cream. It contains vitamin A and the following things. This medication requires applying only in the evening. You can apply 3 times a week. It helps to prevent plugs of hair follicles. Following a doctor’s suggestion can be a better idea. This medication will kill the excess bacteria and reduce redness. Antibiotics are applied in the morning and combined with benzoyl peroxide. It will help to reduce developing antibiotic resistance. Azelaic acid can found in the animal product, wholegrain, and cereal. It contains antibacterial properties which help to prevent acne. It has found more effective when you combine with erythromycin. During pregnancy, it can be optional. Its side effects include skin irritation and discoloration. Salicylic acid can be found in leave-on or wash off skin products. According to research, it has limited healing effectiveness. It has another name Aczone and comes in the form of the gel. Your doctor may prescribe this for inflammatory acne for adult females. Its side effects can occur as dry skin and redness. In some cases, dermatologists suggest the skin therapy alone or with a combination of medications. It is a type of acne treatment therapy based on laser light. You can not ask for it, but only your doctor will advise after detail analysis of your skin condition. The improvement in acne removal will not be long-lasting. You will need to repeat this procedure often as your doctor advice. In this therapy blackheads and whiteheads get removed. You doctor or skin specialist will remove comedos with the help of special tools. Your doctor recommends it when black or whiteheads don’t go with topical medications. This method may cause scars on the skin. You can prevent mild acne with home remedies and self-care. Read below how to care yourself from acne. Maintain a good and healthy lifestyle in the following ways. Eat oil-free food when you are getting acne. Have sound and enough sleep. Take a shower after the workout. Sweat can trigger more acne. Avoid touching affected part as it spread the acne growth. Wash the acne area with a mild soap. You can wash twice a day with mild soap or gel and warm water. If acne appears within a hairline, then wash your hair on a daily basis. Men should do shaving gently on the affected area. Don’t use a scrub and facial product until your acne disappear and there is no pain in the affected area. Say no to greasy and oily cosmetic such as sunscreen, concealer and hairstyling products. Use only noncomedogenic and water based products. In some cases, acne medication is sensitive to sun exposure and make it worse condition. Talk to your doctor about sun rays sensitivity. You can apply natural sunscreen like aloe vera. Protect your affected area from phone heat, tight collar, helmets, backpack, and straps. Aloe vera gel can help several skin conditions. It helps to heal the acne wounds. It also moisturizes your skin and acts as a great sun protector. According to research applying green can help acne problem. The tannins and flavonoids in green tea help to fight bacteria and decrease inflammation. Cinnamon and honey amazing source of antioxidants. According to research, the antioxidant helps eliminate acne. It is more effective than retinoids and peroxide. It is an extract from the Melaleuca alternifolia tree. Tea tree oil is popularly known for killing bacteria and decreasing skin inflammation. It doesn’t act fast as compared to benzoyl peroxide, but slowly it improves acne appearance after use of 3 months. Do exercise regularly to boost blood circulation. Increased blood circulation nourishes skin and regenerates new cells. Doing regular exercise can regulate the hormone and prevent stress. Therefore, exercise stops acne. It is popular for fighting with virus and bacteria. It contains many organic acids which help to stop the acne. Specifically, its succinic acid helps to suppress inflammation occurred by acne. It also prevents scarring. 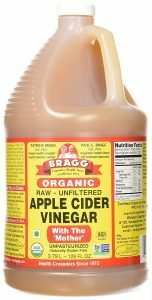 Mix 1/4 apple vinegar in 2 teaspoon water. Cleanse the affected part and apply the mixture. Remove apple vinegar application after 20 seconds. It is an important nutrient for skin hormone production, cell growth, and immune functions. The research found people with low zinc in the blood have more acne comparing to clear skin people. Many studies prove that oral consumption of zinc supplement decrease acne. According to the study, zinc supplement is given to 48% people 3 times a day. After 8 weeks, 38% people found 80% – 100% acne reduction. Acne is a common skin condition. You can reduce it with natural remedies and medication. The best prevention is maintaining a good and healthy lifestyle. Take good care of yourself. Consult a dermatologist before taking any medicine, gel or supplement to avoid side effects. Everyone has the different skin, so what works for your family member may not work on your skin.